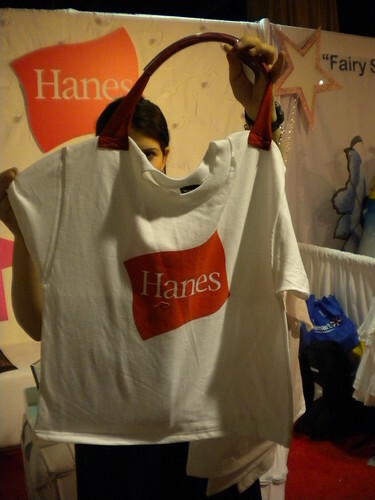 I was at BlogHer ’09 for work and happened to spot this crafty swag bag from Hanes. Definitely caught me by surprise! Sounds like they were a hit at the conference.